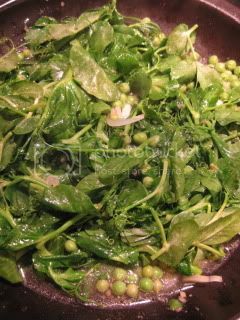 Yes, I've been cooking and consuming English peas incessantly while they are in season. Spring is also the best season for egg. So, I love the combination of English peas and eggs. 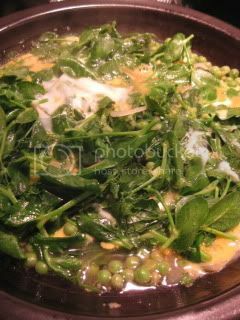 This time, I made simple spring steam-fry dish of English peas, pea shoots, and egg with Tagine-style Donabe, FUKKURA-SAN. Here's how I make it. 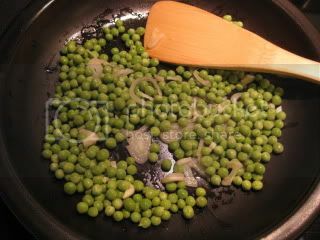 In the skillet of Fukkura-san, saute garlic, shallot, and 1C English peas in olive oil for a couple of minutes. 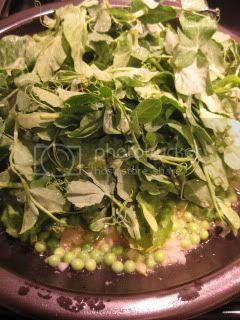 Add 8 oz English pea shoots and 1/4 vegetable stock. Cover and steam-fry over medium-heat for 1-2 minutes until pea soots are lightly wilted. Add 2 eggs (whisked) and cover again. Turn off the heat after 1 minutes. Let rest for a couple of minutes. 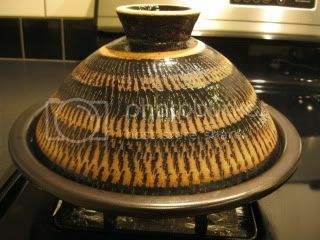 (Carry-over heat will cook the egg further). Uncover at the table and serve immediately. It's a very pure and full-flavored seasonal dish, which I just love to savor so much. 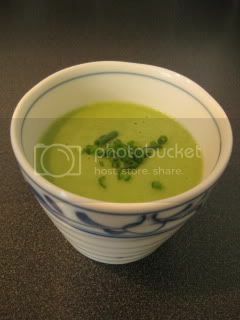 I also made simple English Pea Potage, seasoned with Shio-koji and Saikyo Miso (no cream or butter) with my Soup & Stew Donabe, MISO-SHIRU NABE. It's so good that it feel like I can drink the whole potful of it! I hope to introduce this recipe soon also.